As the new update of iOS released to the public, many bugs were discovered. A common issue that many people face is “could not activate cellular data network” error message while connecting to the internet. Call and Messages work properly but browsing of the internet is affected. If you are one the users facing such an error then no need to worry anymore. This article is all about how to fix this problem. We have collected many working ways by which you can fix the Cellular data network problem on your iPhone. 1 What causes this error Message? Before talking about methods to fix it, lets have a look at why this error appears. Thus following are the most common causes behind the occurrence of could not activate cellular data network error. Bugs in updated iOS: Most of the users reported that after updating to the new version, their network showed up with the errors due to bugs. Poor Network connectivity: While switching either WiFi connectivity or routers, internet stops for a moment. Instant breakdown of the network also results in popping up the error “could not activate cellular data network”. Wrong APN details: This error occurred again and again because of the wrong Access Point Name (APN) details saved in the network settings. Step 1: Open the Settings menu on your iOS device. Step 2: Then select Cellular Data from amongst the various options. 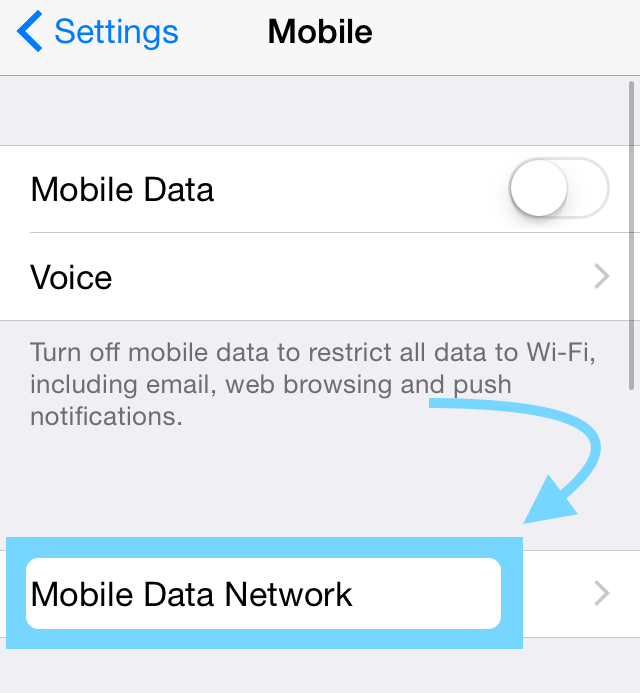 Step 3: Tap on the icon of cellular data so that it may turn off. Step 4: Use the appropriate buttons to return to the home screen of your device. Step 5: Wait for at least one minute and then again navigate to cellular data. Step 6: Again, tap on the icon to turn it off. In most of the cases, if your device doesn’t have any major issues then this method will fix your issue. If it doesn’t fix the issue, then you might want to check the next method as discussed below. Step 2: Then select Mobile from amongst the various options. Step 3: Tap on the icon of Mobile Data Options. 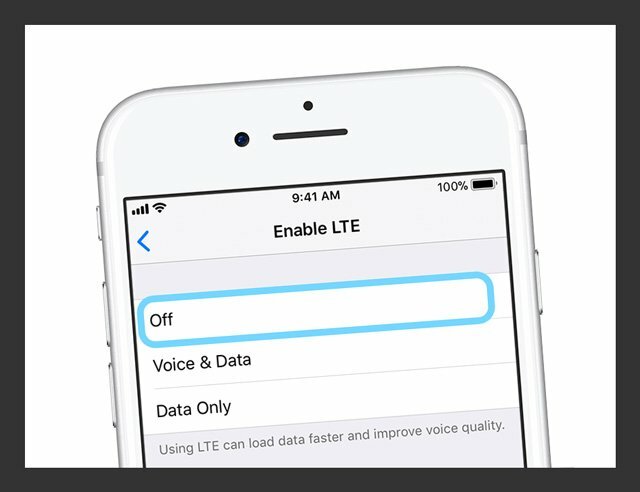 Step 4: Now check if the Enhanced LTE mode is turned on. Step 5: If it is not turned on, then tap on the icon to turn it on. Step 1: Open up the Settings menu. Step 2: Open the General Tab. Step 3: Select the Shut Down option. Your device will reboot instantly and most probably, your issue of cellular data not working shall be solved as well. Step 1: Press and hold down the top button of your device for at least 10 seconds or until you see a slider on the screen. Step 2: Bring the slider to zero so that the device may shut down completely. Step 3: Once the device has shutdown, again press and hold the button until the logo of Apple appears on the screen. Your device has rebooted successfully and most probably, your issue of cellular data not working shall be solved as well. Step 1: Press and hold down the side button of your device until you see a slider on the screen. Step 2: Bring the slider to zero so that your device may shut down completely. Step 3: Once the device has shutdown, again press and hold down the button until you see the logo of Apple on the screen. Your device has now rebooted successfully and your issue of cellular data not working on your shall have been solved as well. We covered almost every information about this error. If you failed to fix it, try to use given methods separately. You can also contact Apple customer service but before doing this we advise you to try to restore your device. If you have any queries, comment us in the comment section given below.